I have spoken to students and written articles previously about the research connecting the negative correlation between wellbeing, pro-social skills and connectedness to your peers and the environment, and screen-time. That is why there is to be no personal use of mobile phones during the school day. Student reception at each campus can pass on any urgent messages to students. 1. Learning a musical instrument, including voice, improves your learning capacity. It is primarily due to activating and connecting neural pathways between the two hemispheres of the brain. 2. Listening to non-lyric, quiet music can calm us before undertaking a learning task. The ability to think clearly when working on a cognitively complex task is vital and being in a calm and relaxed mood is beneficial. 3. We can use music/song as a memory technique for specific information, similar to an acronym or other memory tricks. 1. 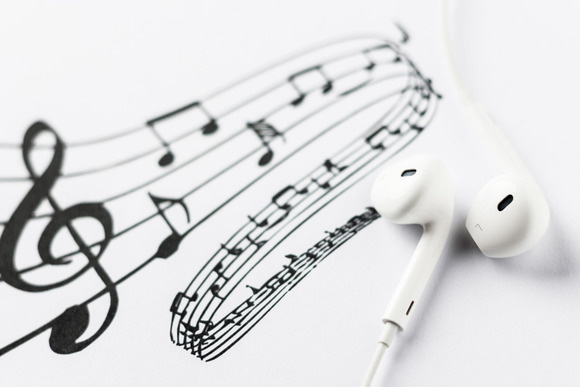 Students who listen to music with lyrics while completing reading or writing tasks are less efficient and come away having absorbed less information. 2. Students who revised in quiet environments performed more than 60% better in an exam than their peers who revised while listening to music that had lyrics. 3. Students who revised while listening to music without lyrics did better than those who had revised to music with lyrics. However, both groups performed worse than those who studied in a quiet environment. 4. It made no difference if students revised listening to songs they liked or disliked. Both led to a reduction in their learning. A commonly cited theory in support of listening to music while learning is termed the Mozart Effect. This misinformed theory, states that people become more intelligent by studying while listening to Mozart/classical music. This misconception came from a study performed in 1993. Researchers played a Mozart piano sonata to a small group of students and then asked them to complete a spatial reasoning test. They then compared the results of that group to those of two other groups who took the same test after listening to 10 minutes of a relaxation tape or silence. The researchers found that the group exposed to Mozart scored measurably higher, even though these cognitive gains only lasted about 10 to 15 minutes. Some years later, a journalist in the USA wrote an article, misinterpreting and over-simplifying this finding, and possibly somewhat tongue in cheek, stating that listening to Mozart made you more intelligent. As with a lot of fiction, this idea took off and parents began playing Mozart to their children in the belief their children would become more intelligent. A core aspect of my role is ensuring that I lead and support teachers and students to create the best learning environment possible. Knowing the findings of reputable research and thinking of what is in the best interests of the learning of the whole student body, I have informed all teachers that students are not to listen to music in class. However, there is an exception. If a teacher determines that, given the particular task the class is working on, it is appropriate to have some quiet non-lyric background music on, they can use their discretion to do so via a CD player or through their computer. This is not to be confused with the use of headphones to listen to learning resources, such as in LOTE. In that instance, teachers will direct students when it is required and appropriate to use their headphones for learning.